So, it is now to the point that if Hubs says, "Grab your camera." I don't ask. I just grab the camera and follow, or jump in the truck, whichever the case may be. 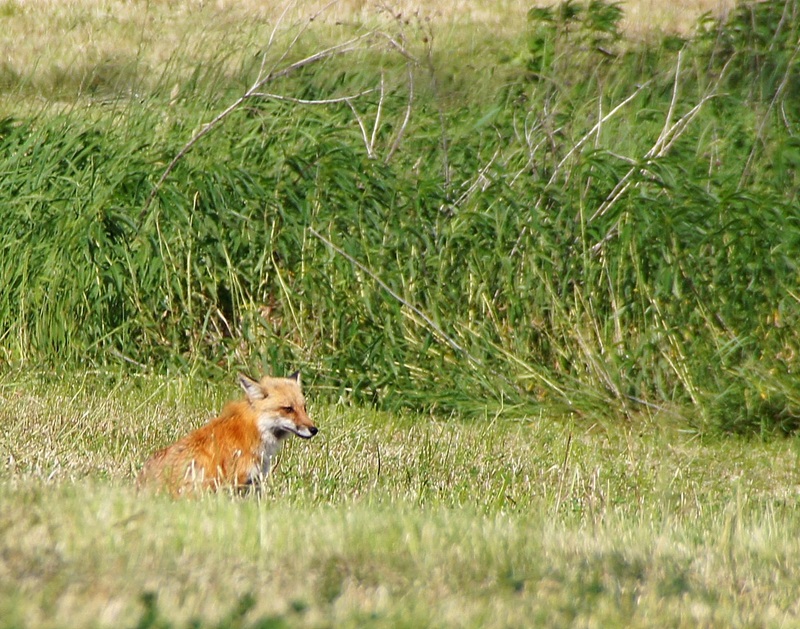 Then, I photographed the morning visitor to the field next to us. Oh wow! 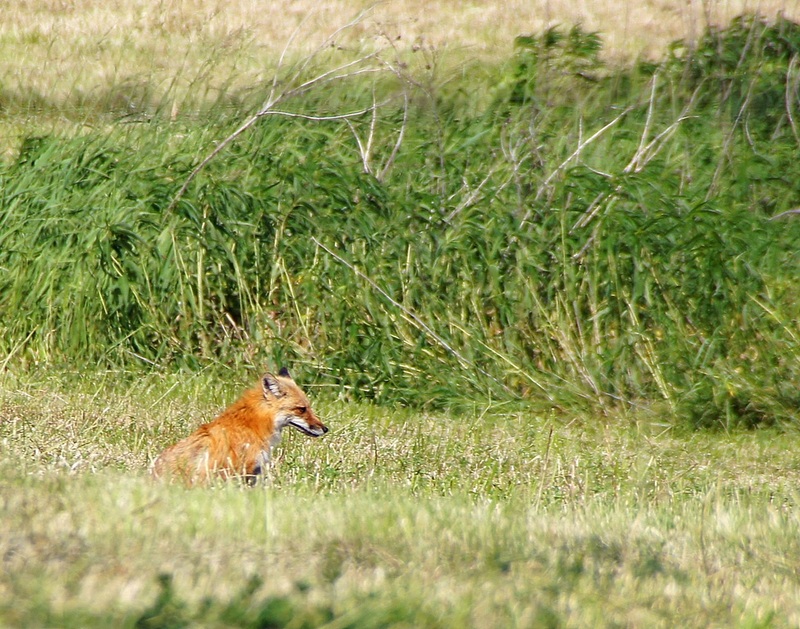 I have not seen a fox since childhood back in Czech. awesome sighting! great spotting, hubs! Adorable! Way to go, husband! How thoughtful. What amazing shots. So lovely. Great sighting, great captures! Have a wonderful weekend! Wonderfup photos! I haven't seen a fox about for a while, but I used to see one or two when I was on my way to work. Great captures! They are such beautiful animals. A beautiful fox! Great capture, Misty. 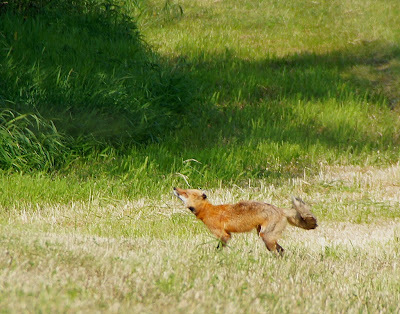 What great photos of the fox! Lucky you have learned to run when he says "camera"! Great photos! Lucky you to have a fox in your focus! Your hubby is a great at finding the critters. Cool shots of the fox, it is pretty. Fabulous shots, Misty. Your husband is a good spotter. That's a good husband, always on "critter patrol" - you have him well trained. What a great find! Thanks Mr. Hubby! 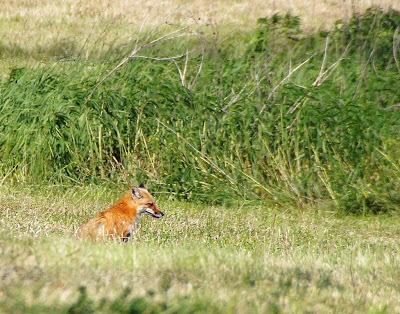 I'd love to catch a glimpse of a fox in person someday. Great shots! Amazing! 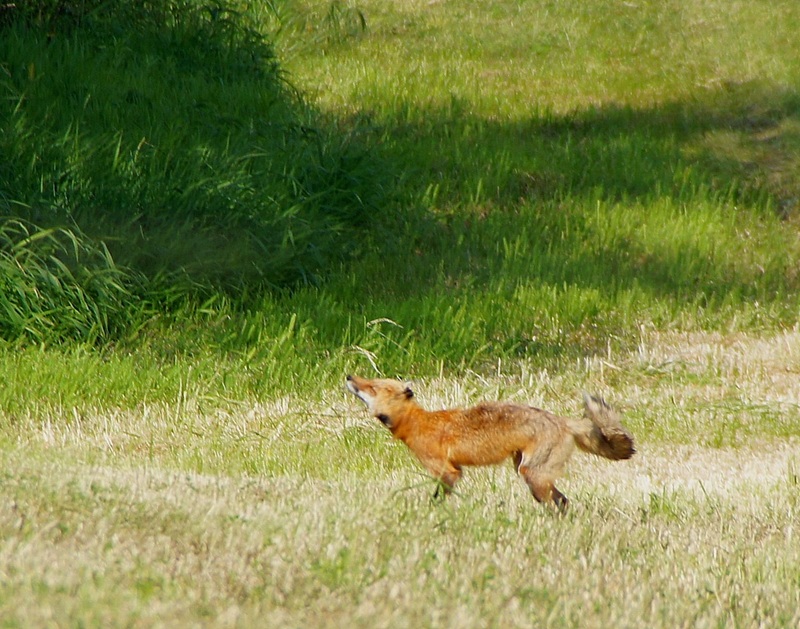 I've been trying to capture a fox that lives at my mother's all spring, but I haven't gotten my timing right yet. what a beautiful fox...so pretty :-) beautiful shots too :-) Dropping by from Camera Critters.